Extreme Metal pioneers Venom waged war from the very depths of Hell, raging against the early-80s New Wave of British Heavy Metal bands they considered tame and the heroes that they felt had pulled their punches. They combined the filth and fury of Punk and Motörhead with the larger-than-life images of KISS and Priest and the kind of Devilish allegiance that would have Sabbath crying “Please God help me!” Conrad, Tony and Jeff became the far more demonic-sounding Cronos, Abaddon and Mantas and their classic album cover set out their allegiance to Beelzebub in black and gold. And they had the sound to match their demonic image. The band used demo sessions for the final album, signalling their primitive purity and honesty. Welcome to Hell sounded under-produced and unholy. The Motörhead influences are obvious, especially in the opening tracks Sons of Satan and Welcome to Hell, but the brio with which they mangle these rockers is thrillingly rudimentary. Cronos’ appropriately named “Bulldozer” bass piles over everything, Mantas peels off some fun wild solos and Abaddon’s caveman drumming tries to keep up. The sense of limits being pushed gives the performance a chaotic edge, especially during the lurching changes of pace. The debauchery of tracks like Poison and Red Light Fever is often criticized but really it all just adds to the shock factor and what’s the point of being one of the Great Horned One’s Legion if you can’t indulge in a bit of hellraising hedonism? On Side 2 the band enter more original and scarier territory. Witching Hour is seminal proto-Thrash, Angel Dust is face-ripping and In League with Satan is addictively catchy while still sounding ominous and threatening. The band tightens their Metal grip as the album progresses and the most influential musical moments come from the record’s second half. Welcome to Hell has many elements of the Heavy music that preceded it and its fast pace, growled vocals and evil vibe can be heard in so much Metal that came after. But it remains unique and divisive. In fact, it’s a hellish maelstrom of just about everything I love about Heavy Metal while also embodying everything the genre is criticised for. But most importantly, Venom’s greatest legacy was their harder/faster/scarier mind-set which became the ethos of much of the Metal that followed. With Welcome to Hell Metal became Extreme and for that we should all praise Satan. See that’s where digital copies are useful. You can make all kinds of mess with your candle wax, virgin’s blood and Priest’s vomit without it affecting playback. Definitely Motorheadish. I like it, not sure I would buy it but it be great cranking at a party etc. YES! Man, you sure know how to throw a party. Where’s my invite? Anytime you get to San Diego my friend! We’ll head to the beach with a boom box and make a playlist!! We are usually cranking Sabbath, Metallica, Judas Priest. A little Venom would fit right in. Actually Saxon is heading here in about a week gonna try and make that show. Cool. Let me know if you do, I’ve actually never seen them! Man, that is some refreshing rawness! I’d skipped out on metal just as hair metal reached it’s prime and I missed this completely. I missed something real and vital. Wow! That’s brilliant! Glad I could put you on to something new. What sort of Metal were you into when you skipped out? 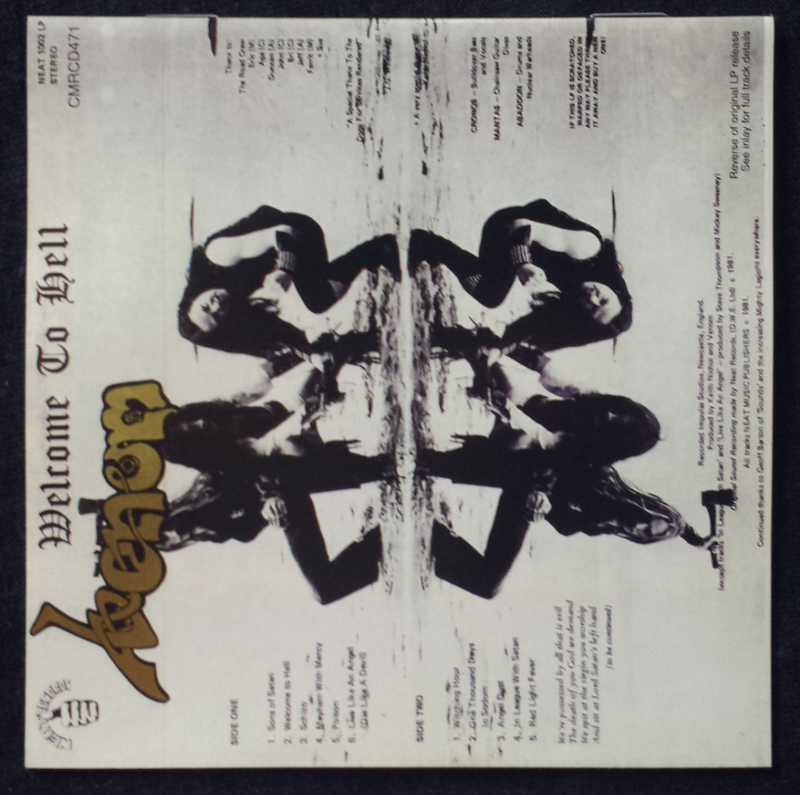 The NWOBHM had gotten a little stale (not bad, just not fresh) and hair metal disgusted me. Then Slayer gave me a headache and I was off to punk and the Jesus and Mary Chain. Lately, metalcore (Converge, KEN Mode) meets my metallic needs. 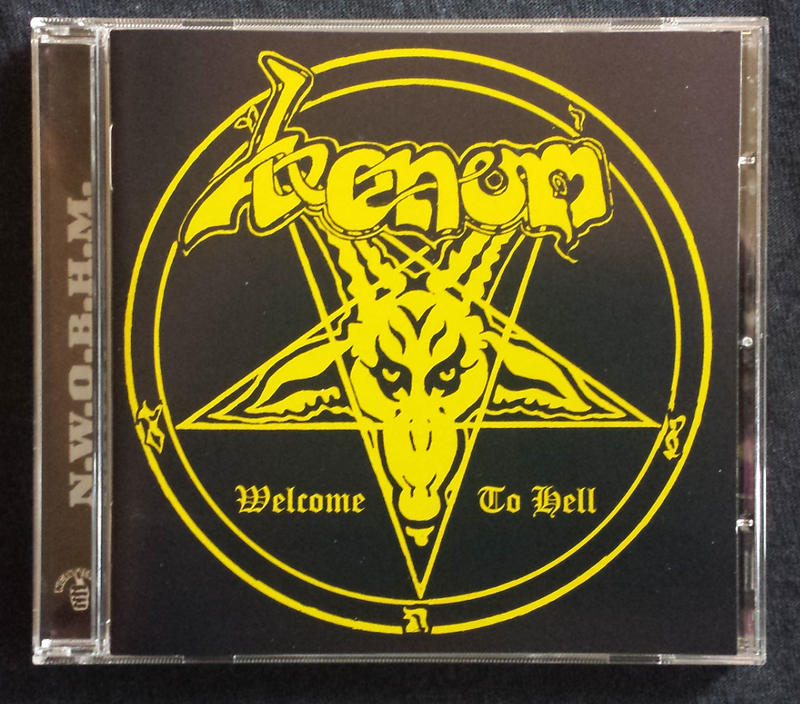 I guess most movements get stale or saturated at some point… Venom were relatively late in the NWOBHM stakes but definitely one of the most original and influential to come out of the scene. A big influence on Slayer especially. I never really got into the Metalcore stuff… any recommendations? This is brilliant. I want this… I haven’t bought this or the other one you recommended. Sigh. “and the kind of Devilish allegiance that would have Sabbath crying “Please God help me!”” I see what you did there. I’m playing this track and saying HELL YEAH! Yeah I remember you liking that track I sent you a while back. It’s a pretty interesting distinction with the Ozzy Sabbath. A lot of their stuff and a lot of the Doom Metal they inspired is either pretty God-fearing or scared of evil. Whereas Venom were pretty keen on being the ones doing the scaring! It’s not a value judgement, just an interesting distinction!